If you want a pool cleaner that will take your pool maintenance up to the next level, a completely automated cleaner is the way to go. Robotic cleaners are a better alternative to pressure and suction cleaners for larger pools or more challenging locations. The Dolphin 99996403-PC cleaner is one of the most advanced cleaners that uses a smart design to float, climb, and roll all over your pool. The Dolphin works by moving around the surface of the pool, scrubbing and vacuuming out any debris and particles in the water. For an average size pool, the robot will take just 2.5 hours to get the job done. The cleaner also includes a built-in filter for smaller things other cleaners may miss. Everything is completely automatic so you don’t have to worry about complicated settings or programming to set this option up. With so many automatic pool cleaners out there, the competition for the top spot is a fierce battle. To claim this spot, the auto cleaner needs to be user-friendly while providing a quality and continuous clean throughout the entire pool. 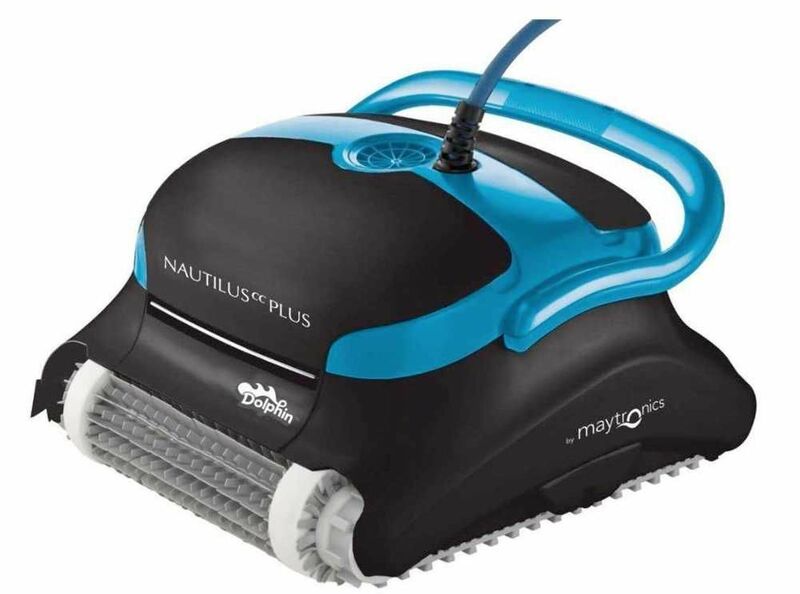 The suction powered Hayward Poolvergnuegen 896584000013 is uniquely designed to do just that. Auto pool cleaners can be expensive, especially if you are looking at the most advanced robotic options available on the market. While these options can make the job easier, you don’t have to spend that much to get the job done. The XtremepowerUS Automatic cleaner is a great and affordable option that plugs directly into your pool’s suction and filtration system without the need for electricity. The cleaner works as an underwater vacuum that collects debris using the pool’s pump. Since it doesn’t rely on batteries or an electrical outlet, setting up the cleaner is easy. Once you have connected the hose to a 3/4 hp pump, you are good to go. The design of the vacuum makes it slender and narrow to avoid any larger debris it can’t handle. For an added convenience, it also comes with a testing kit to check chlorine and acidity levels of the pool water. Suction side cleaners work on the starting side of your pool’s filtration system. Normally, pool filters have to circulate the entire volume of water in the pool to clean everything. A suction cleaner makes this process easier by moving around the pool to collect and guide debris and water into the filter system. The BARACUDA G3 W03000 maximizes this reach with an effective, mobile design for getting around the pool. Plugging directly into the pool’s pump, the cleaner offers a simple set up should you need to get it working quickly. The cleaner is designed to work with any number of pumps so you don’t have to worry about compatibility issues with a lower speed system. A durable fin fans outwards from the base, keeping it right on the surface of the pool. Water circulates through the bottom opening and into the pool’s filtration system. Pressure side pool cleaners work on the opposite end of the filtration system. As water exits the filter, these cleaners collect any debris or organisms the filters may have missed. 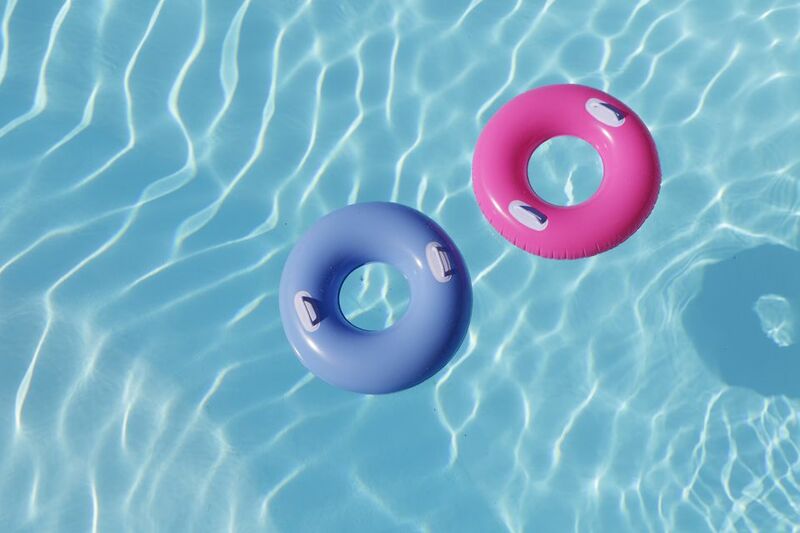 This can be particularly useful if you don’t want to overtax the pool’s filters. Anything a pressure cleaner like the Polaris Vac-Sweep 380 collects will be kept in an easy to access and clean bag. The Vac-Sweep 380 uses its own pump (sold separately) to vacuum up any debris missed by the pool’s filtration system. Debris moves out of the pool and into a single chamber bag for simple disposal once it is full. The cleaner also includes a 31' long hose which is long enough to tackle medium and large size pools. Scrubber wheels along the side will also clean the sides and bottom of the pool as it works. Above ground pools present unique challenges to typical upkeep and maintenance. Since most above ground options lack the same type of filtration systems as their inground cousins, this can limit the type of automated cleaners you can effectively use. Thankfully, the Aquabot APRVJR Pool Rover Junior is purposely designed for above ground pools so you don’t have to worry about the quality of your water. Floating and skimming pool cleaners work best near the surface of the water as they float along. Moving under the water is a more difficult task, but can lead to more control over the quality of the water. Some pool cleaners use wheels and rollers to move which works unless a major obstacle is in the way. To “off-road” underwater, the only real option is treads. The Zodiac MX8 roams around the surface of a pool on two durable treads supported by size primary and secondary wheels. This design makes the cleaner agile enough to avoid large obstacles or tricky curves in the pool. The treads also allow the cleaner to climb up the sides and around tight corners without much issue. As a suction-side cleaner, the unit hooks right into the pool’s pump. Our reviewers spent 11 hours testing one of the most popular pool cleaners available. To really get the full experience, we asked them to consider the most important features when using this pool cleaner, from assessing its filtration system and efficiency to rating its overall performance. We've outlined what matters most here so that you, too, know what to look for when shopping. Manual vs. robotic Manual cleaners are much cheaper but require more grunt work. They are more suitable for above-ground pools and small inground pools. If you have a larger pool or are short on time, a robotic pool cleaner is a much more efficient way to get that crystal clear water. Type There are two main types of automatic pool cleaners: pressure-side and suction-side. Pressure-side cleaners use water pressure to move along the bottom and sides of the pool and collect dirt and debris in a bag. These cleaners are ideal for leaves, twigs, and larger debris. Suction-side cleaners connect to your pool’s filtration system and are better for dirt, sand, and smaller debris. ﻿Filtration Suction-side pool cleaners depend on a built-in filtration system to work properly, while robotic and pressure-side pool cleaners can operate autonomously. Pressure-side cleaners use a bag to collect debris, and robotic pool cleaners use filters that need to be changed periodically.